Deshmukh, a strong Vidarbha statehood supporter, wrote the letter on December 6 and made it public today, a day before the winter session of the state legislature starts here from tomorrow. 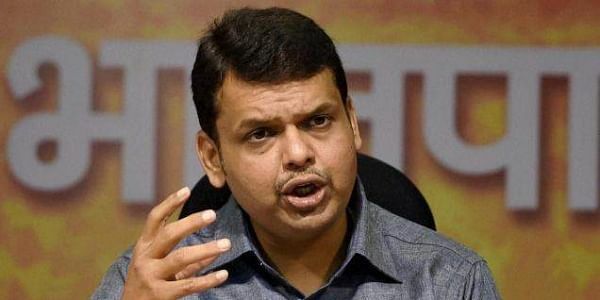 NAGPUR: BJP MLA Ashish Deshmukh has appealed to Maharashtra Chief Minister Devendra Fadnavis to take steps to carve out a separate Vidarbha state. The MLA from Katol in Nagpur district has written a letter to Fadnavis, urging him to be a "torch bearer" for the cause of separate Vidarbha. Deshmukh told Fadnavis, who hails from Nagpur, that the BJP is in power at the Centre and also in Maharashtra. Hence, he should put forth with much vigour the demand for a separate Vidarbha before Prime Minister Narendra Modi and BJP president Amit Shah, he added. In the letter, the ruling party lawmaker pointed out that the region in eastern Maharashtra is rich in natural resources but still remains impoverished. "Ninety per cent of natural resources in Maharashtra fall in Vidarbha. Besides, 70 per cent of the power in state is generated in Vidarbha. These factors can be a huge booster for the development of Vidarbha," claimed Deshmukh. Deshmukh lamented the lack of industrial growth and unemployment in the cotton-growing belt, which comprises 11 districts. "The MIDCs in Vidarbha are not creating enough jobs. Besides, new industries are not clicking in Vidarbha. Even the ambitious projects like MIHAN (a cargo hub and airport venture) have proved to be non-starters," he said. Many of the small-scale industries in the region have closed down in the last few years, resulting in job losses in thousands, Deshmukh said. The BJP is a supporter of smaller states, but its ally, the Shiv Sena, is vehemently opposed to any division of Maharashtra.